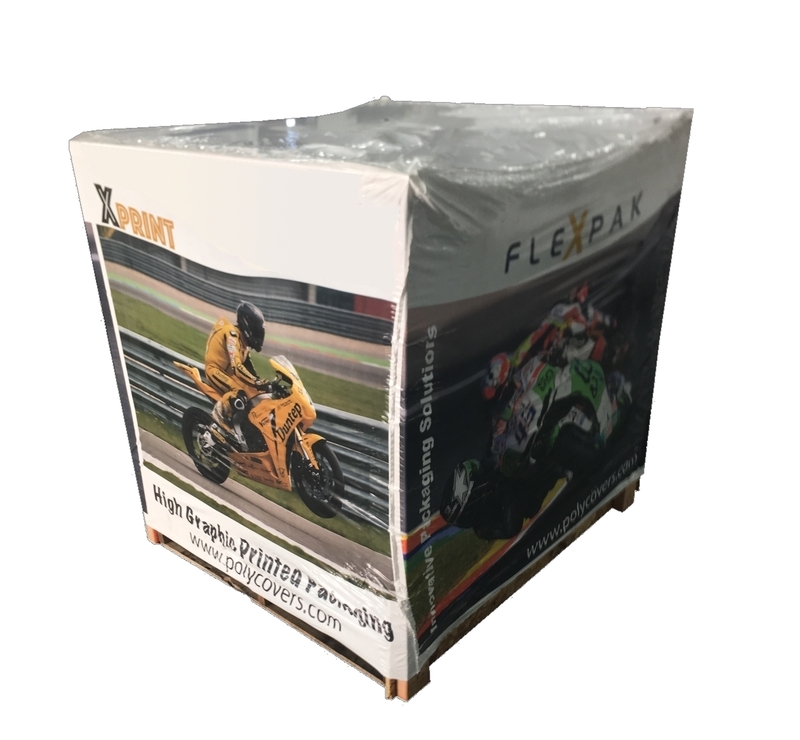 If covering machines, crates, tractors, ATVs, motorcycles, or PWCs with packaging for shipment, Flexpak has innovative solutions that protect and advertise. High quality products seeking cost-effective solutions to packaging with protection and advertisement can choose from several different products available at Flexpak. The crate cover above can be manufactured at Flexpak using heat seal design technology and printing capabilities. Really, when it comes to printed packaging that protects and advertises, if you can imagine it, we can do it. Crate covers can be made in woven polyethylene or in mono-extruded/co-extruded films. The covers can be made to have different weights and colors of films. Film can also be shrinkable or slip resistant. A crate with a shrinkable cover at about 4 or 5 mil looks great and performs well with most applications. If the product or crate has sharp edges, or will travel in the wind on an open truck bed, a woven poly cover should be considered. Some customers buy a heavy top and light weight sides for covers, and some may buy a woven top with poly sides. ​There are several additions to covers that are used for machines and equipment. Some customers have requested draw strings in the bottom of the cover, to cinch tight around the pallet or skid. This allows the cover to temporarily be applied if the equipment is being stored outside within the production cycle.